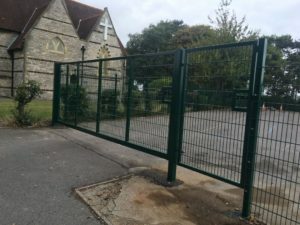 Fenceworks Dorset Ltd – Fencing Contractors Poole & Bournemouth specialises in garden fencing Poole & Bournemouth and have many years of experience within the Fencing & Landscpang industry across Bournemouth & Poole. 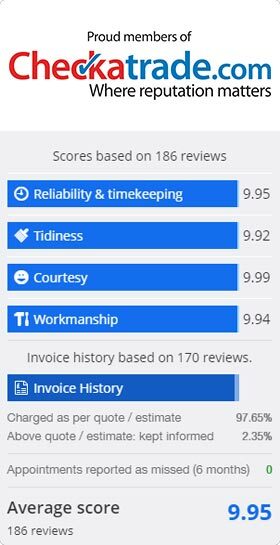 As a local CheckaTrade Approved Fencing Company in Poole we are focused on providing Fencing services with the highest levels of customer satisfaction & will do everything possible to meet our customer’s requirements & expectations both on service and price. When you choose our fencing company in Poole or Bournemouth you will be very surprised at the great selection of products that we have for you to choose from and we are certain that you will be happy to work with us. If you would like to discuss your Garden Fencing, Decking, Gates requirements or any other service that we have to offer then please feel free to contact Fenceworks Dorset Ltd – Fencing Company Poole & Bournemouth directly using the phone number provided on this website. We provide a professional, friendly and personal service meaning you will not get passed around to different people like you would in a large company you will just have one point of contact making the entire process far more strait forward and efficient. If you would like a free no-obligation quote from us then please contact us to arrange an appointment. Fenceworks Dorset Ltd Fencing covers Poole, Bournemouth and all of the surrounding Dorset areas. For Garden Fencing Poole or Bournemouth please contact us today on the number below. We are your local Fencing Company based in Poole Dorset offering great services at great prices!